Dental Insurance Is Warmly Welcomed! Not many people can pay for big dental treatments and smile transformations straight out-of-pocket, especially budget-minded families. Thankfully, dental insurance provides a valuable helping hand! Most people obtain this type of insurance through their employer, which others purchase it independently. At Fulshear Dental, we’re happy to work with dental insurances to help make your desired care more flexible and affordable – in fact, our office is in-network with many PPO plans! To learn more about how to navigate your unique coverage, keep reading below. What is Dental Insurance For? Many patients believe that dental insurance is virtually the same as traditional medical insurance, but this isn’t true. 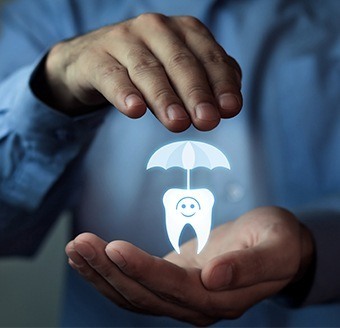 While medical insurance is typically reserved for big events, such as serious illnesses, traumatic injuries, or pregnancies, dental insurance is based more around the power of prevention. Simply put, its goal is to help patients take better care of their smiles over time and successfully minimize their risk of many common health-related pitfalls like cavities and gum disease. It does this by fully covering the cost of essential preventive services like biannual checkups, professional cleanings, and fluoride treatment for children under the age of 18. No two dental insurance plans are exactly the same, which is why it’s important to confirm with your provider which services are covered and by what percentage before committing to a treatment plan at Fulshear Dental. In fact, our team can help with this process! 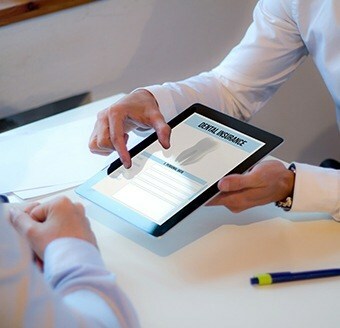 Just provide us with your insurance information at the first appointment and we’ll be happy to serve as the go-between. As already stated, preventive services like checkups and cleanings are covered at 100%. Minor restorative treatments have a majority of their cost covered, usually somewhere between 70-80%. These services include root canal therapy and tooth-colored fillings. Major restorative treatments typically have around half of their overall cost covered – sometimes up to 60%. These include dental crowns, bridges, dentures, and similar procedures. Purely cosmetic services, such as porcelain veneers and direct bonding, are not covered by most providers. If you’d like to visit Fulshear Dental but have an out-of-network insurance plan, you’re also always welcome here! Our knowledgeable team can file claims on the patient’s behalf to gain access to available benefits, and in many cases, the overall cost is very similar to what you’d pay with an in-network provider. If you’d like to learn more or start planning a first visit, don’t hesitate to contact us!